The Patuxtent River is the dividing line between Anne Arundel County and Prince George's County. Governor's Bridge, which just so happens to be located on Governor's Bridge Road, crosses the river and connects the two counties. 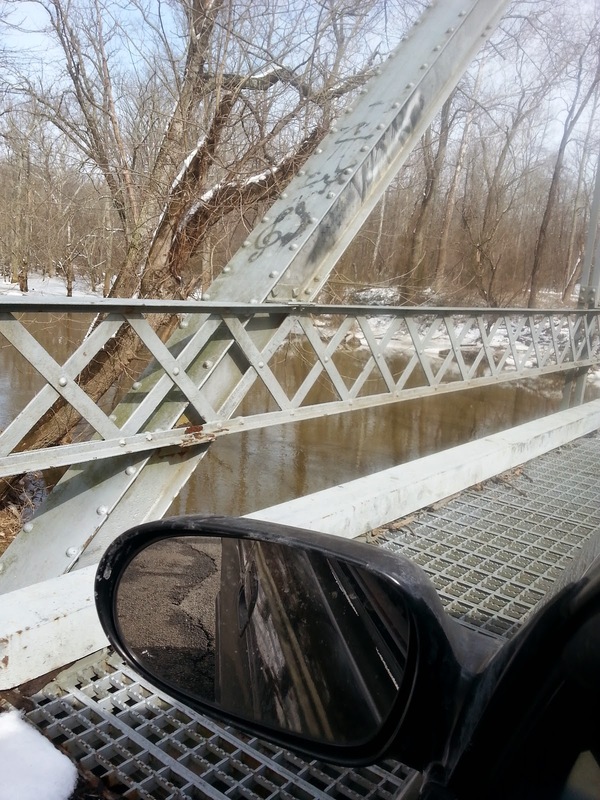 According to the State of Maryland, "the site of the bridge has been used as a crossing since the mid-eighteenth century." The name, they speculate, may come from the fact that Governor Ogle, in the mid 1700's, used a bridge that was previously at this spot to commute between his home in Bowie and Annapolis. That bridge no longer exists. The current metal truss bridge was built sometime between 1907 and 1912. It is a single lane bridge on a two lane road, so care must be taken when using it. A simple unassuming little bridge like this really shouldn't attract much attention. Yet rumors about the supernatural have turned this structure into a local legend. The mysterious Goatman of Prince George's County is said to inhabit the area. This half-man, half-goat beast is thought by many to live in the woods around the bridge. Jimmy Tupper VS The Goatman of Bowie is a 2012 movie about this creature. It was shot in and around the area. You even see the bridge in at least one scene, although it is never mentioned by name. The movie was clearly inspired by the Blair Witch Project and was sort of slow at times. It got much better near the end. A sequel was hinted at and I hope it gets made. a young unmarried teen-aged girl that became pregnant. Afraid to tell her parents, the girl took her newborn baby and dropped it over the side of the bridge. Realizing what she had done, the girl jumped from the bridge and fell to her own death. According to many eyewitnesses, one can see the woman standing in the middle of the bridge, frightening drivers. Of course, the biggest problem with this story is that while the baby would have drowned, the jump is not high enough to kill a person. I suppose the girl could have also drowned, if she didn't know how to swim. There is, however, no record that I can find of an incident like this ever taking place at the bridge. 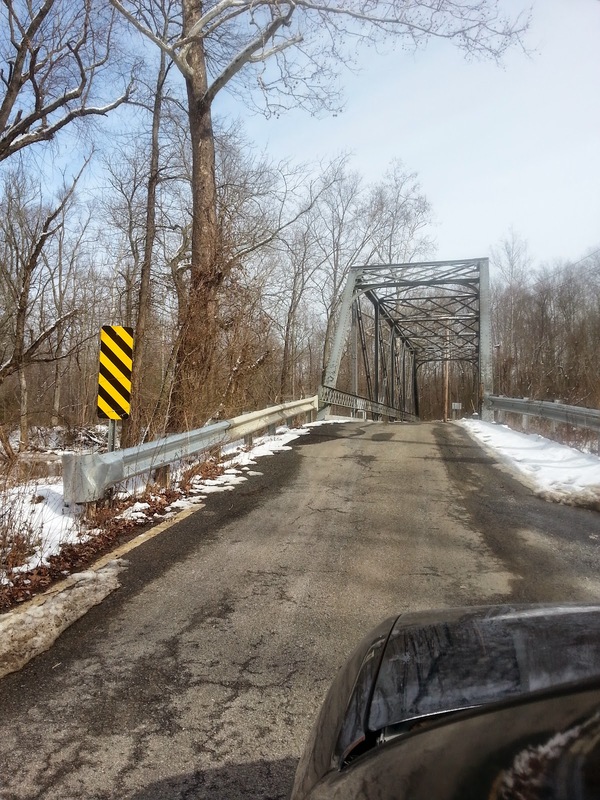 Crybaby bridge legends are fairly common all over the US and are not to be taken too seriously. There are stories about terrible car accidents over the years at or near the bridge. It is a one lane bridge on a two lane road that is curvy and not well lit, so the fact that there have been accidents nearby is not surprising. Throw in the fact that teenagers and other young people are visiting the bridge, often at night and under the influence, and, of course, there are going to be deaths. People like to visit the bridge and post videos of it on Youtube. These people got out of their car and walked on the bridge, on a foggy night. One benefit of these types of adventures is that sooner or later some of the people involved are going to get killed. So if the bridge wasn't haunted before, it will soon be. Of course, while it is quite reasonable to be concerned about homicidal satyrs and ghosts, there is another reason to be worried while travelling over Governor's Bridge. According the the Maryland Historical Trust, "When the bridge was surveyed in 1995, it was closed to traffic. However, it has since been re-opened, although no significant alterations are evident." Well, maybe the Goatman fixed whatever was wrong. In search of Anne Arundel County's "Midgetville"